For as long as I can remember, my mum has never wanted to go out on Mother’s Day. For her it is too busy and she just will not enjoy herself. As it’s Mother’s Day in the UK this Sunday, we’ll be spending some quality time together, at home, and I cannot wait. Since moving away from home five years ago, quality time together has become even more important, I’m sure if you live away from your family, you’ll feel the same. Relaxation is the order of the day, and with that a good ol’ pamper session and some hearty food. 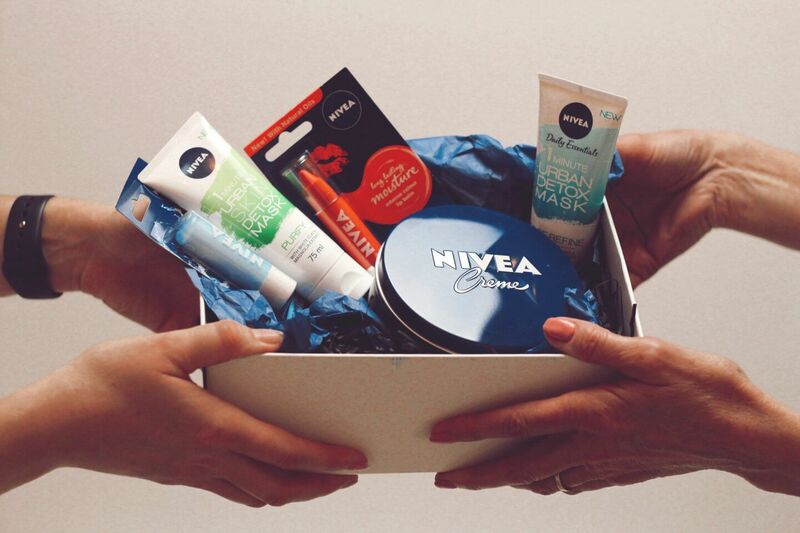 I recently joined the Nivea family and was asked to pick some products to treat my mum this Mother’s Day. I asked mum what her favourite Nivea product was and she told me she’s always loved Nivea Creme. 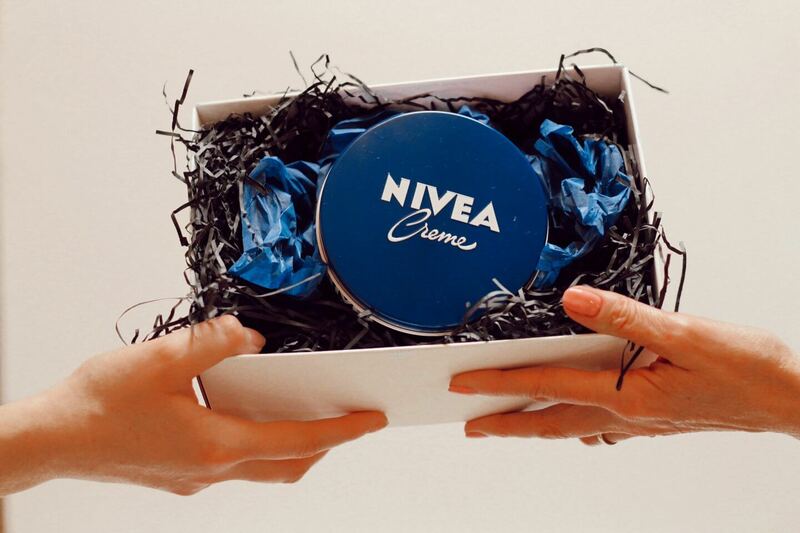 I was sent the biggest post of Nivea Creme I’ve ever seen, so definitely a treat for mum. The best at home pamper for me, has to be a face mask, so face masks it is. The 1 minute Urban Detox mask in ‘Purify’ is the mask of choice for both mum and I. We both have combination skin, on the more oily side, making this the perfect mask for us both. We had a pre-Mother’s Day try of the mask and our faces were left feeling super soft and radiant. With such a quick treatment, you and your mum can add this into your daily routine. When it comes to using face masks, I’d recommend using a brush to apply to your face; product is evenly distributed and it just feels a little more luxurious than using your fingers. I quite enjoyed painting mums face! I also received the Urban Detox mask in ‘Moisturise’, so multi-masking may be the next step this weekend. If you’ve not multi-masked before, you apply different masks to different areas of your face, based on concern, which is perfect for those of us with combination skin. Again using a brush really helps with application. Chick-flicks in our dressing gowns and reminiscing about old times will likely follow. I love hearing stories from my mum, and it doesn’t matter how many times I’ve heard the same story, I still enjoy listening. The boys have booked the lounge to watch dad’s team at Wembley, so we’ll be snuggling up on bed, most likely watching Pretty Woman or Stepmom. A traditional roast dinner will be on the menu; my mum always made a roast every Sunday when I lived at home, so we’ll be sticking with tradition but mum won’t be cooking. How will you be celebrating Mother’s Day this Sunday? Makeup Free Challenge- can you do it? 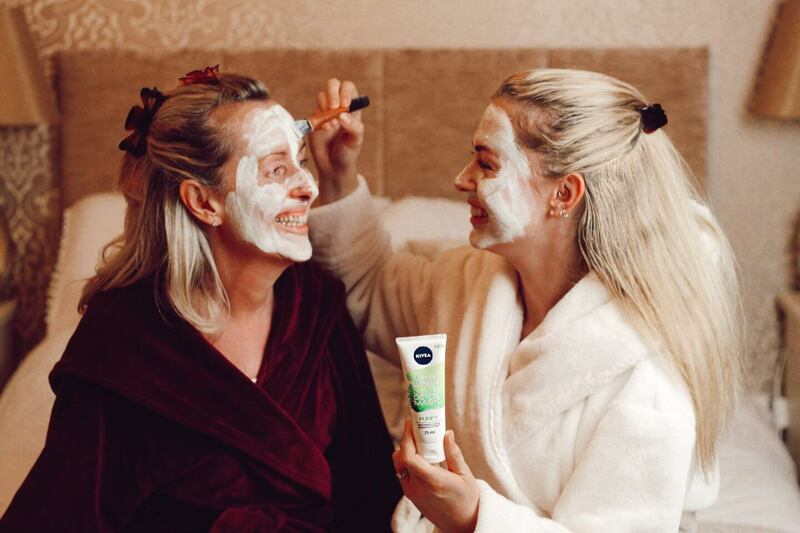 Awh I love the photo of you and your mum doing the face masks, so lovely!! I’ve started using a brush to apply mine and I prefer it a lot to using your hands. Sounds like a lovely way to spend mother’s day!